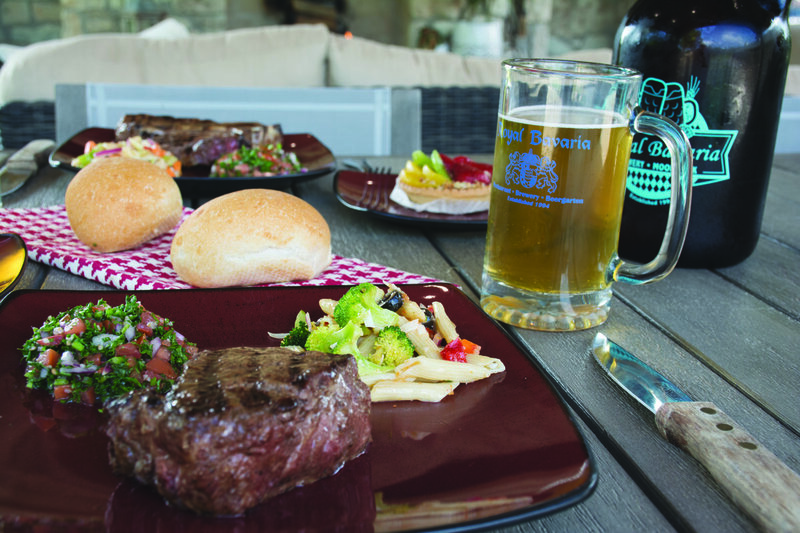 There’s nothing like the flavor of a quality steak cooked on the grill—at least, if it’s cooked correctly! I think most of us have been disappointed to cut into a grilled steak, only to find it either under-cooked or overcooked and tough. 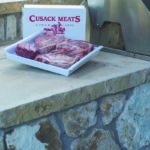 Whether you’re planning a special Fourth of July cookout with family and friends or just an intimate meal for two, start out with the best-quality meat possible, recommends Al Cusack, owner of Cusack Meats, an Oklahoma family-owned and -operated business since 1933 and a proud distributor of the Certified Angus Beef Brand since 1985. 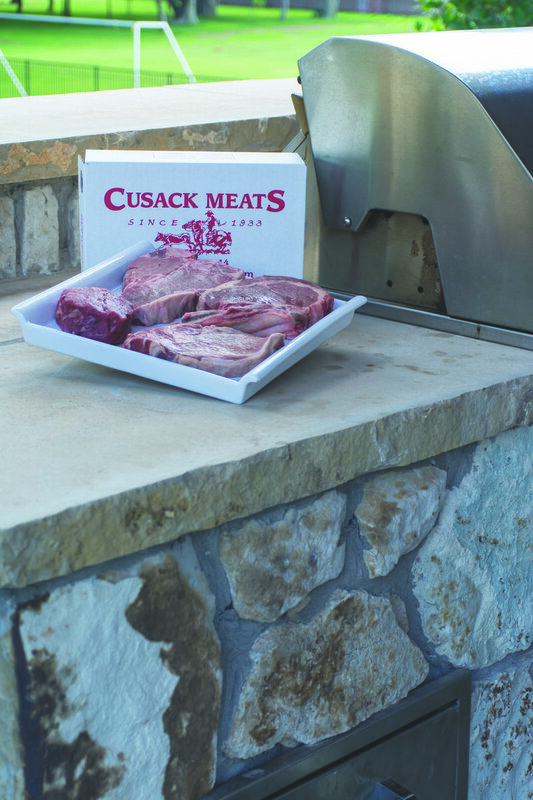 “For a great steak, we recommend you start with the best beef … using a Certified Angus Beef® Steak is a great first step,” said Cusack, noting that one need go no further than the Certified Angus Beef Brand’s website (CertifiedAngusBeef.com/) to find helpful cooking tips and recipes. 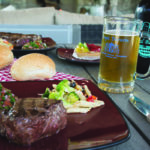 Place steaks on preheated grill–they should sizzle. 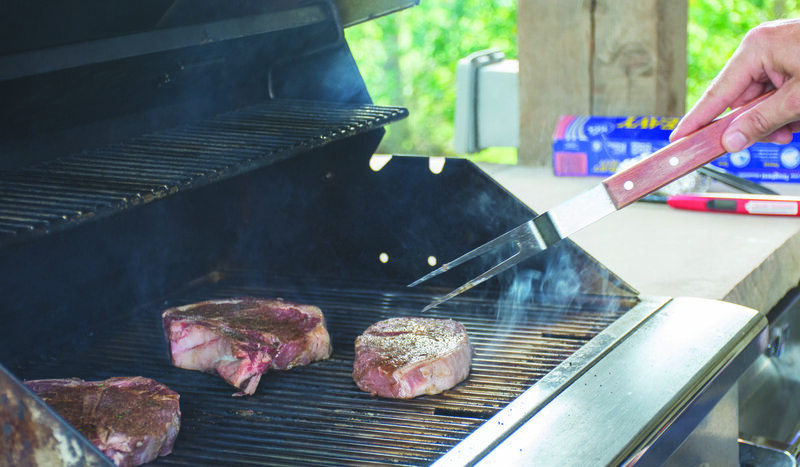 After a couple minutes, once juices begin to rise to the surface, use tongs to flip steaks over. 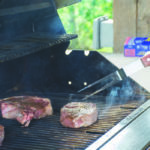 * Remove steaks from the heat when the thermometer registers 5°F lower than the desired doneness, as the temperature will continue to rise while resting. The USDA recommends steaks and roasts be cooked to 145°F (medium, warm pink center), then rested for at least 3 minutes. For a little extra pizzazz, why not dress up your steaks next time with a classic steak butter (for some extra joy, make it a thick-cut ribeye), made with garden-fresh herbs? Following is a simple, but delicious, recipe. Place ½-pound unsalted, softened butter in a bowl. Using plastic wrap or waxed paper, roll the butter into a log shape, about 1” in diameter. Refrigerate 2 hours or until butter is solid. Place a 1/4-inch slice of butter on each steak as they are resting.